There's enough talent among the defensive line hopefuls at Vikings training camp that making finals cuts in 10 days is going to be difficult, coach Mike Zimmer said. In 10 days, the Vikings will trim the 90-man roster by nearly half. Some positions will make for easier decisions than others. One of the tougher areas to thin, according to head coach Mike Zimmer, will be the defensive line, which has been a strength of the roster for a couple years. 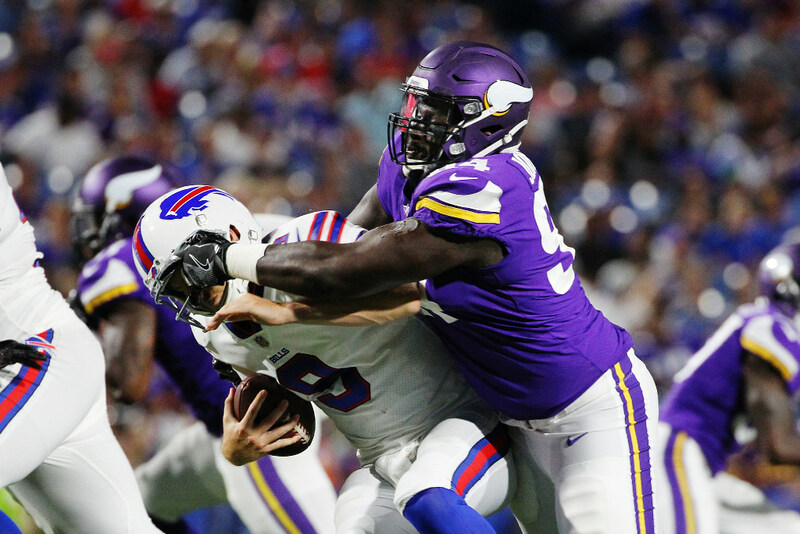 The decisions aren’t getting any easier with young players like defensive tackle Jaleel Johnson and defensive ends Tashawn Bower and Ifeadi Odenigbo playing well during two preseason games. Since the first roster cut deadline was eliminated, all teams get the final preseason game (Aug. 31 for the Vikings) to evaluate everybody on the 90-man roster before making any decisions. That gives the Vikings two more exhibitions, including Sunday night vs. the 49ers, before the Sept. 2 roster cuts. So Odenigbo, the seventh-round Northwestern product, and Bower, undrafted out of LSU, will get two more games to state their cases for a roster spot over teammates like defensive end Stephen Weatherly. Bower has two sacks this preseason. Odenigbo has been credited with a sack and a forced fumble. Johnson, the fourth-round pick out of Iowa, was particularly impressive against the run during last week’s exhibition in Seattle. That could help his case while competing alongside defensive tackles Tom Johnson, Datone Jones, Shamar Stephen and Will Sutton for roster spots.